WASHINGTON — Potomac, Maryland-based California Tortilla, continues its expansion outside of the Mid-Atlantic region with new locations in North Carolina, South Carolina and Kansas, and plans to double the number of its restaurants in the next three years. 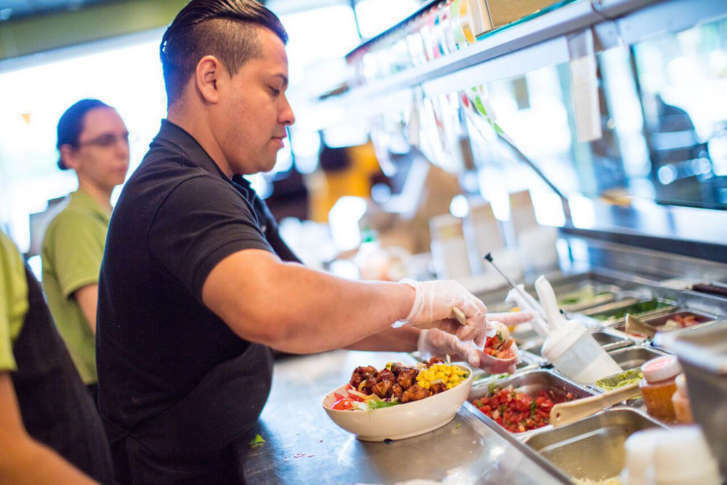 California Tortilla kicked expansion into high gear, signing 10 franchise agreements last quarter, including five new locations in Virginia and in new markets including Wichita, Kansas, Charleston, South Carolina and Raleigh, North Carolina. It also will add new locations in Florida, in Orlando and Kissimmee. California Tortilla already has a restaurant in Melbourne, Florida. The fast-casual Mexican restaurant chain has grown to 48 locations across the Mid-Atlantic, with two locations in Qatar. It plans to reach 100 locations by 2021, putting it head-to-head with national players like Chipotle Mexican Grill and Baja Fresh. California Tortilla, also known as CalTort, promotes its farm-fresh, never frozen ingredients. Its restaurants all also feature a “Wall-of-Flame,” featuring 75 different hot sauces. The chain is targeting growth in large metro areas and suburban locations in strip malls. It also has locations in airports, food courts and college campuses.